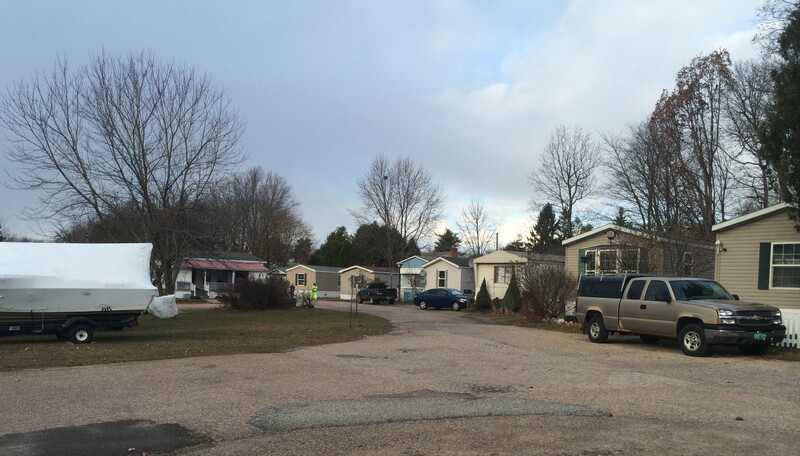 Burlington's only mobile home park, which offers one of the most affordable places to live in a city where housing costs are steep, is on the market. Residents — most of whom own their homes but lease the land on the 11-acre park — received notice by mail on Thursday afternoon that it's for sale. Farrington's Mobile Park, located in the New North End across from the Ethan Allen shopping plaza, has 120 lots, 117 of which are currently occupied, according to the notice. The rent is roughly $300 a month. State law gives residents the chance to form a cooperative or to work with a nonprofit to purchase the property themselves. If a majority of residents choose to pursue this option, they would have 45 days to notify the owner of their plans. The law requires the owner to then give them an additional 120 days and to negotiate with them in good faith. The asking price for the park is $5 million. The park has been owned by the Farrington family since it was founded in 1923. Rumors about a potential sale have been circulating since the park's owner, Sandra Farrington, passed away in August. Her four children inherited the property. Reached Thursday, her son, Robert Farrington, said that his mother had stipulated in her will that the property be liquidated, leaving them no choice but to sell. But he also pointed to the challenges of running the park. Many residents — some of whom have lived there for decades — are unnerved at the prospect of moving, which they say would cause financial hardships for many. They point to the price of transporting their homes — many of which aren't very mobile — and, more significantly, a lack of vacancies in other parks. George Leduc, who's lived in Farrington's for 21 years, and Bob Dougherty, who's been there for 27, discussed the announcement outside their homes Thursday. Even before the news of the sale, Leduc had been involved in efforts to organize the residents into a tenants' association. Both felt strongly that the property should remain a mobile home park, but coming up with $5 million would be beyond their means, they said. "We've got to get moving on whatever we're going to do," Dougherty said. Robert Farrington, who called the decision to sell "heartbreaking" said he's fully supportive of residents purchasing the property. "We’d like to see the tenants get it ... There's a lot of good people in here." Farrington, who lives in the park himself but plans to move, added, "We need low-income housing in Burlington and I don’t think it gets much cheaper than here." Burlington city officials, state officials and staff at local housing organizations met last week to discuss the possibility of a sale. Brian Pine, who works in Burlington's Community Economic Development Office, said the park is "a critical housing resource for low-income people in Burlington" and "we want to make sure it remains available for the folks who call it home."